LAS VEGAS—Ever wish you could preheat your oven before you got home to save yourself some dinner hassle? This spring, Dacor’s Android-based oven will hit store shelves with voice control you can use on the go. The 50-year-old appliance maker showed off its smart ovens with Android faces at last year’s CES, but now the upgraded Discovery iQ range can be controlled with just your voice. You don’t have to be anywhere near your range for it to process your verbal commands—simply connect your oven and smartphone to the Internet and voice your request to the iQ app for iOS and Android. You could tell your phone a command like, “Preheat to 350 degrees,” and the oven will be ready for action when you get home. 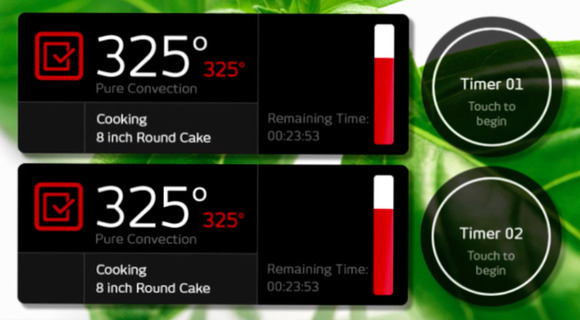 But you can already control your Dacor smart oven remotely using the company’s app, so why the need for voice control? Think of why you use voice-activated digital assistants like Siri or Google Now—sometimes you need to be hands-free, even for mind-numbingly minor tasks like preheating the oven. A Dacor rep told us the new voice-activated 48-inch dual-fuel range will be useful for multitasking parents on the go, but they’ll need a lot of dough: Dacor’s 48-inch Discovery iQ oven will retail for $12,000, with a 36-inch model priced at $9,000. This article was updated to add video.